The Donald J. Hall Sculpture Park is great for outdoor enthusiasts and those wanting to view art in a different kind of setting. 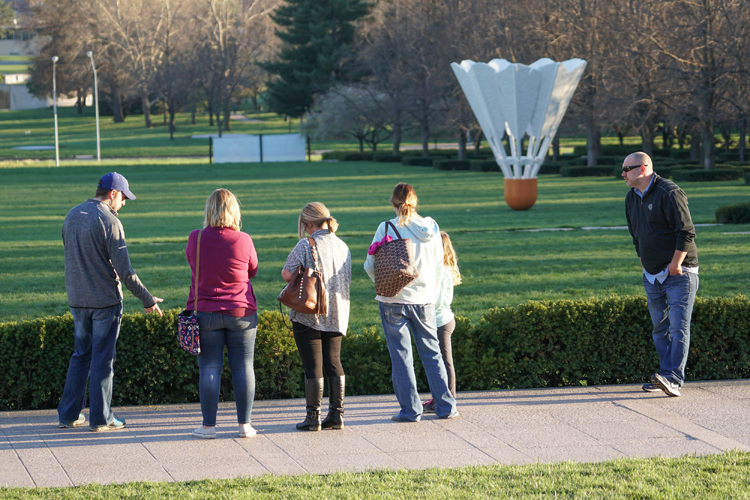 As you meander through the museum grounds, you will stop at several sculptures to examine the materials, techniques, subject matter and artistic styles of these outdoor objects. In case of inclement weather, the tour will be inside the museum with comparable works of art.